Utilized in ~1,000 Colleges and Universities, in diverse program areas, to include Diversity & Inclusion, Orientation, Residence Life, First Year Experience, Service Learning, Social Justice, Retention, Student Affairs, Professional Development, and many more. 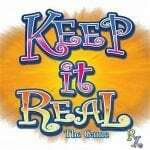 Keep It Real is positioned to break the rules of racial / religious/ sexual / cultural, and all silences! We all owe it to each other to reach further and higher towards healing our divisions, and coming together to embrace our common humanity. "We used the Keep It Real game with our Resident Assistants during their diversity training as well as with one of the college's women leadership groups. The students loved every minute of playing the game. Based on their comments, what they liked most was the fact that they could talk about difficult topics without feeling self-conscious because everyone else who was playing had to do the same. This enabled them to build trust quickly and so answers were honest and meaningful. Since the training, some resident assistants have borrowed the games to use with their floors. I would strongly recommend this game to anyone interested in helping others to understand themselves and colleagues/ peers in fun but meaningful ways." "Keep It Real was the core of our Diversity workshop for students and proved to be more engaging and impactful than any keynote speaker we have ever had. In the past, while other diversity activities have caused students to feel guilty or marginalized because of their identity, Keep It Real empowered our students to speak their truth while remaining open to the experience and the dialogue. Students repeatedly mentioned that the game provided them with the opportunity to have honest conversations with their peers in a safe environment surrounding important issues. Both the staff and students involved agreed that Keep It Real should be an aspect of new student orientation and first-year experience classes." "Working in Higher Education for over ten years I have experienced many different types of programs, games and theories on how to break down barriers in order to build community, trust, and a safe environment. The Keep It Real game is my secret weapon when it comes to preparing my students to be able to speak about personal feelings, experiences, and opinions with students they may not know. The Keep It Real game is a creative tool which allows students to connect an experience with a face, group laughter, and group support. It begins the true foundation of community, retention, and most importantly the building of new friendships and great memories that we as educators hope are long-lasting with college." "Keep It Real isn't just a board game -- it is a FUN, COMPASSIONATE, JAW- DROPPING and INTELLECTUAL way of life. Each space on the board represents a unique opportunity to discuss serious issues such as relationships, bullying and religion, and lighthearted ones such as pop culture, superpower wishes, and dreams. The action cards are HILARIOUS, prompting seemingly shy and ordinary people to get out of their seats and DANCE, SCREAM, TWIRL, and make NOISE. Keep It Real is perfect for students striving to discover themselves in a world brimming with diverse ideas, Keep It Real never fails to deliver an adventure in a comfortable and judge free zone. I promise you that Keep It Real will LITERALLY change your life." "The Keep It Real game is an icebreaker, and is something where you learn more about someone past what you see, past whether they are a Muslim woman, or a white man, or whether they're Jewish or whatever. Personally, I think this would be good for incoming freshmen, for people that are just coming in...And think this is something that would be a great addition to this school." "From start to finish, I felt like it was a really moving experience, especially because when we started off we were really uncomfortable with each other. We were not sure it was a safe place. But we grew to be comfortable with each other. And it goes to show that when you start opening up, and when you're able to talk about things...it makes the entire environment more comfortable." "The Keep It Real game has unblocked the pathways into my student’s hearts! After two rounds of riveting questions from this game, I recognized a light shining through a window, highlighting the inner thoughts of all of the people around the table. We were riveted for hours and did not want to stop playing. If you work with high school and college-aged students, like I do, I highly recommend you invest in hosting game events with the Keep It Real game." "Learning to lead others efficiently takes a great deal of listening. Throughout playing Keep It Real people learn to listen to others while gaining the comfort and courage to speak and know that others are listening to them. This is such a great game that breaks through race, gender and religious barriers. As a student leader on my campus I am going to use this game each semester as new members join my various organizations." “We here at Idaho State University have had the pleasure of working with Ms. Leslie Robinson, the creator of the “Keep it Real” diversity board Game, two times during her campus visits. As the Coordinator of the Diversity Resource Center at Idaho State, it is vital we have support outside the University helping us improve the environment on our diverse campus. This means providing expert assistance to our campus community when we can. The Keep It Real game has been a big success on our campus. We have used the board game with students on all levels, include graduate students and at various programs. We use the game during staff trainings for new employees and present staff who have been here for a while. We have also used it for in our staff Professional Development Program through our Human Resource Office. In 2016, we also used the game in a Mandatory Diversity Training Program for the Pocatello Police Department and Bannock County Sheriffs. Those who have played the game have very positive responses to it, even though sometimes it brings up past experiences and asks tough critical thinking questions. Both times Leslie has been on our campus she has worked with faculty, staff, administrators, and students. Ms. Robinson brings an element of enthusiasm through her discussions on diversity and perception of her game. It is this enthusiasm for people understanding each other which is clear in her presentation. During her first meeting on campus, she was able to get people talking about the game which has helped us here at the Center to promote it even more. We have been very lucky to have Leslie visit our campus twice, and to help us work to improve Diversity on our campus but also, our community. Start the dialogue that builds trust and mends bridges. © 2018 Keep It Real Game. All Rights Reserved. Website Design by Your Design Guys.